As leaders in hematologic oncology, stem cell and bone marrow transplantation, and immunotherapy, Duke Cancer Institute’s Hematologic Malignancies and Cellular Therapy (HMCT) disease group is internationally recognized for its novel approaches to treating leukemia, lymphoma, myeloma and other life threatening blood-related cancers. We promote health and improve lives by preventing, diagnosing and treating blood cancers through integrated, innovative, and holistic patient care, education and research. We offer a broad selection of treatment options, including access to national and investigator-initiated clinical trials. 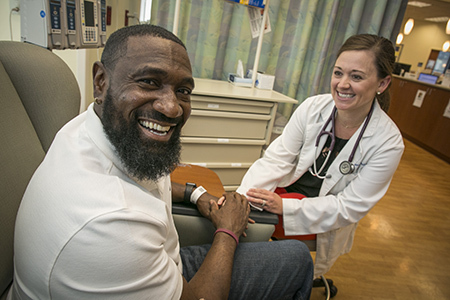 Duke Hematologic Malignancies & Cellular Therapy specialists provide comprehensive, multidisciplinary care for patients at the Duke Cancer Center and the Duke Adult Blood & Marrow Transplant Clinic. To make an appointment, please call 919.684.8964. Providers who see patients in the Hematologic Malignancies Clinic include David Rizzieri, Carlos DeCastro, Joseph Moore, Thomas Leblanc, Matthew McKinney, Lindsay Rein, Ahmed Galal, and Alexandra Stefanovic. Providers who see patients in the ABMT Clinic include Mitchell Horwitz, Nelson Chao, Gwynn Long, Cristina Gasparetto, Yubin Kang, Anthony Sung, Stefanie Sarantopoulos, Taewoong Choi, and Cristiana Costa. The Duke Hematologic Malignancies & Cellular Therapy (HMCT) Program is a multidisciplinary basic, translational, and clinical research program whose overall goal is to improve outcomes for patients with hematologic malignancies. We offer our patients access to more than 50 active clinical trials specific to hematologic malignancies and transplantation. These trials range from securely storing your medical information in an outcomes-reporting registry, to sample repositories, and to national clinical trials and investigator-initiated trials designed to prevent, detect, or treat your underlying disease with the most advanced treatment methods. Your participation may help you and others in the future. Some of these trials are only offered at the Duke Cancer Institute. As a result, we offer a broad selection of treatment options to our patients, including some who are not considered candidates for treatment elsewhere. Your participation in a clinical trial may help you and others in the future. 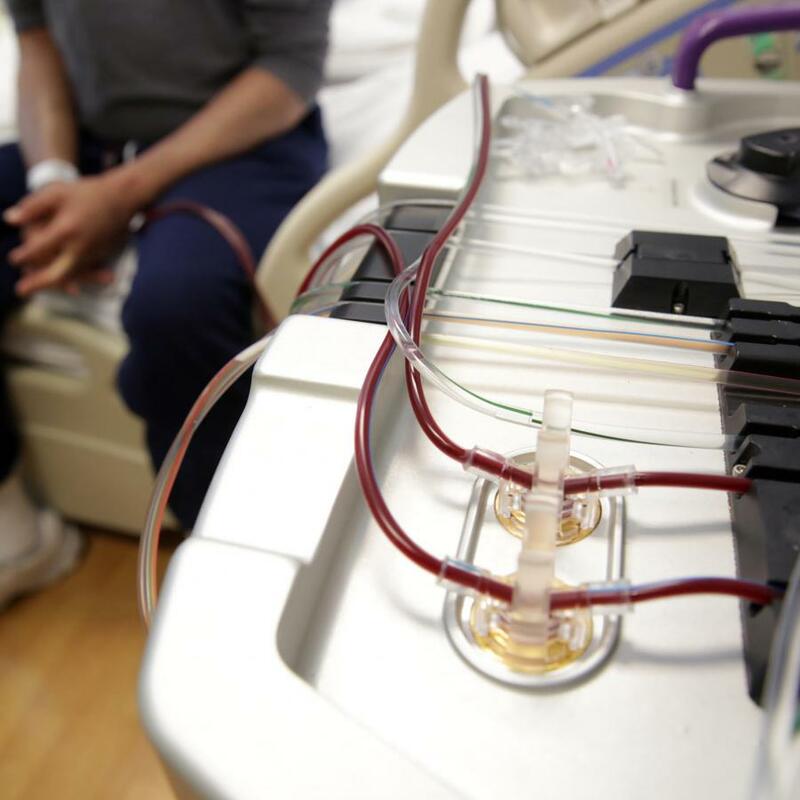 Search our active clinical trials related to the treatment of Leukemia and multiple myeloma, Lymphomas - Non-Hodgkin's lymphoma and Hodgkin's disease, and BMT and Cellular Therapies.